Animal Stretcher is great for carrying large pets who are sick, injured or handicapped. Six handles for balance and support, handles covered with neoprene sleeves for comfort. 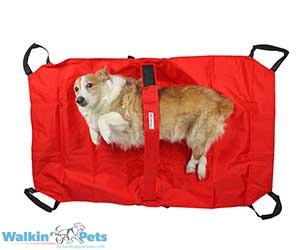 This dog stretcher comes in one size and is rated for 250 pounds.